It appears the Trump administration may look to end support for the International Space Station by 2025. This proposal, if approved by Congress, would be a huge mistake similar to that of ending the Apollo program in 1972. First reported by The Verge’s Loren Grush, a draft budget proposal calls for ending U.S. funding for the ISS by 2025 to free up some $3 billion to $4 billion in the budget for the Trump administration’s plan to return U.S. astronauts to the Moon. The goal would be to transition low-Earth orbit activities to private industry. Official details won’t emerge until at least Feb. 12, 2018, when the White House’s final Fiscal Year 2019 budget proposal is slated to be released. However if this “transition” movie sounds familiar, it is because it has been seen before—multiple times—and it has never had a happy ending. The most recent of these “transitions” came in 2011 with the retirement of the Space Shuttle’s with no follow-up program ready. The two that were designed to ultimately be its successors, SLS/Orion and the Commercial Crew Program, are years behind schedule. They were slated to be operational in 2017 and 2015 respectively. Neither program has yet to put U.S. astronauts into space resulting in the longest independent space access gap in U.S. history—6.5 years and counting. SLS/Orion aren’t expected to put humans into space until 2023 while NASA’s commercial crew partners, SpaceX and Boeing, aren’t expected to send crews into space until 2019 at the earliest. This isn’t because of incompetence; it is partially because of funding levels and that, well, space is hard. There is no evidence to suggest significant delays won’t be incurred in getting commercial space stations in low-Earth orbit to replace ISS, let alone a deep space gateway (the U.S. space agency’s proposal to put a space station in cislunar space), by 2025. While there is a hope that the International Space Station could one day be operated at least partially commercially, there is no consensus on how that would be done or if commercial industry could sustain it alone, let alone if they could afford it. The only example of a commercial entity taking control of a space station came in 1999 with MirCorp. It was able to come up with money for a single mission before the model fell apart. Mir was just too old and expensive. While the ISS will also someday be too old and expensive to maintain, Boeing engineers have suggested the outpost could operate without significant repair/upgrade through 2028. 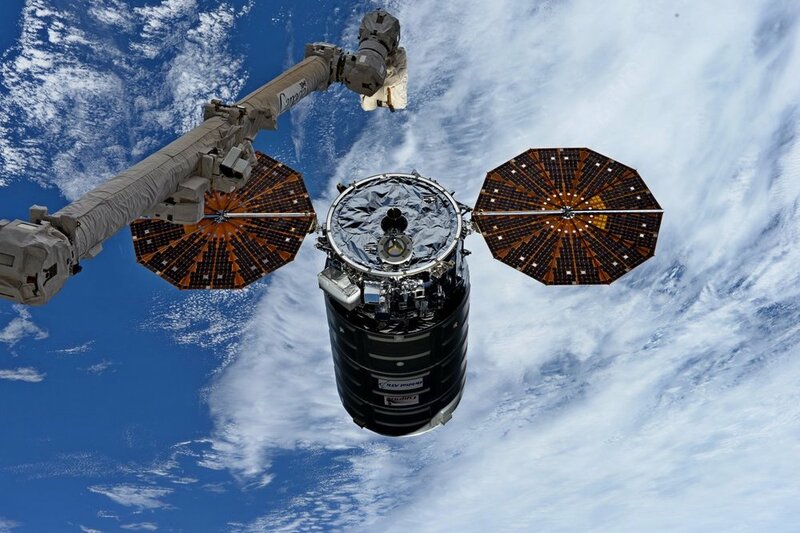 Several companies, such as Bigelow Aerospace and Axiom Space, are already talking about using the ISS as a construction platform to start assembling their own stations. But like all spaceflight endeavors, delays are part of the game and banking on at least one being ready by 2025 would be risky. Even Russia is working to do a proper transition. It too wants to use the ISS as a construction base for its next space station (although if faces continual delays) and a test platform for its Soyuz crew capsule replacement called Federation. Roscosmos plans on flying Federation while phasing out Soyuz. The same must be done for ISS. Moreover, there is the matter of leadership. The current administration has talked a lot about the importance of leadership, but what would signalling the premature end of the ISS say about American leadership in space? One of the biggest accomplishments the ISS program is the bringing together of 16 countries over five major space agencies to build the most complex engineering project in the history of spaceflight. If the U.S. signals its interest in continuing the program is waning, that could mean other countries start to move beyond it as well. While the hope is to transition these partnerships to a cislunar deep space gateway, as stated before, the likelihood of that getting off the ground, let alone human tended by or before 2025 is remote. ISS partner nations could move on and potentially join with the Chinese space station project, which is the only space station planned to be operational in the near-term, potentially as early as 2019. Should China open its outpost up to international and commercial partners, it would be yet another blow for U.S. leadership in space. Additionally, many companies have their near-term business models anchored to the ISS. Take NanoRacks, for example. It sells space on commercial cargo spacecraft to send CubeSats on behalf of business, governments and educational institutions to the ISS to be deployed. The company is even building a private airlock to be attached to the outpost. Their business is booming, but without any alternatives (save for maybe a Chinese space station), they could face significant cutbacks in revenue. The whole point of the ISS is to perform scientific research in a microgravity environment. The human-tended outpost is beginning to hit its stride with crews performing hundreds of experiments during each expedition, providing invaluable data for diseases on Earth, materials science, physics, and even human spaceflight research. Designated as a U.S. national laboratory, some research is being organized by the Center for Advancement of Science in Space (CASIS), a non-government organization selected to manage the research portion of the outpost. CASIS promotes and brokers research ranging from life sciences, physical sciences, remote sensing, technology development and much more. It also provides seed money, via funding from the U.S. government, for research and development. According to its website, the organization has selected more than 200 ISS research projects since 2011 to advance the United States’ leadership in commercial space and pursue science not possible on Earth. This suggests that signaling an end to the outpost by 2025 now would begin to stifle investment in the complex. Why start designing something to go to a place for only a couple years at best? The Commercial Crew Program will have similar issues it will have to face with only five or six years of operations before the potential end of the complex. Additionally, the space station is coming up on a very important milestone. On Nov. 2, 2020, the program is expected to celebrate 20 years of continual human presence in space. That is something that should not be given up and should be built on. The experience of operating and maintaining (both ground-based and on-orbit) a human-tended facility 24/7 for decades cannot be lost if humanity is to expand beyond LEO to the Moon and Mars. Sure, commercial activities could be continued at future cislunar destinations, but again, if past is prologue, there will be a multi-year gap if no purposeful transition plan is put forth. And with the now-too-common four-to-eight-year presidential redirects, any gap risks losing both the ISS and any inevitable over-budget lunar program. Come 2025, NASA could be in the same situation it was in with the end of the Shuttle program—too late to extend it further even if it wanted to. Primarily because of politics, Apollo ended just when those involved were getting good at lunar exploration. While there were very real safety concerns, the Space Shuttle was retired before the most-flown of the orbiters flew two-fifths of its design life. Now, ISS funding could be cut off just as a fledgling commercial industry is starting to get off the ground. For once in NASA’s history, it needs an actual transition from one human spaceflight program to another—with overlap. That isn’t to say that moving beyond LEO is an unworth plan. Quite the contrary, it is a necessity in humanity’s quest to expand into space. But while it seems like NASA cannot have its Moon Pie and eat it too, transitioning away from the ISS needs to be done in a way that builds upon the current step space agencies and industry are on. Not all of this is the fault of politics, however. As of early December 2017, NASA has yet to produce a viable ISS transition plan mandated by law. The space agency, too, is dragging its feet on the issue and if it doesn’t put forth some sort of plan, politicians will—and many know how qualified they are at designing space programs. People have said ending the Apollo program and moving to a reusable Shuttle to build a space station was a mistake. Maybe they were right in the 1970s. But the reality of the situation is this is now 2018. There is an existing research platform being used by a fledgling commercial industry. For better or worse, they need the ISS in order to stay viable in the near-term. While some on the political right might say that any business that cannot stand on its own should not be in business—which is true in general—there is precedent for government subsidizing companies for the public good. Railroads and highways are good examples. Ending funding for the sole destination in LEO before industry can take over at least partially would be self defeating as it removes a viable near-term business model to sustain itself while building up bigger, expanded business cases that could help NASA with expanding beyond low-Earth orbit with public-private partnerships like the Trump administration wants to do. Industry won’t be ready by 2025, but they might be by 2028. As LEO becomes more self sustaining, NASA can work to begin establishing a similar human presence in cislunar space—and they can bring industry along for the ride with lessons learned from ISS, the Commercial Resupply Services program, and the Commercial Crew Program. If maintaining ISS until it is no longer safe or commercial companies can take over means delaying human Lunar or Martian ambitions, so be it. It would be better to take baby steps than fall back several large steps in hopes for another giant leap that could put NASA’s human spaceflight program in the same situation it found itself in after 1972. This is not how you make America great again, this is how you begin to put it in the dustbin of history. NOTE: While this article was written by Derek Richardson, it was originally published at SpaceFlight Insider. Feel free to head over there to read all the stuff they write about!